Generally speaking, maintaining confidentiality when selling a business is imperative to avoid negative repercussions with customers, employees and competitors. A professional M&A Advisor will know how to do this while marketing the opportunity. Advertising the Opportunity, Keep it General and Blind. When advertising a business for sale through the internet or print advertising, the name, specific location and any details that could be used to identify the company should be left out. This requires a delicate balance of providing enough information to attract prospects without revealing much about the company. A proper business teaser, the document used to summarize the opportunity to prospective buyers, should only include a general location such as the state or region where the company is based, provide a high level overview of what the company does, a summary of three to five years of revenues and earnings, and an outline of what is expected with the investment. Pre-screen inquiring parties. Not everyone who responds to a business for sale listing is actually interested in or able to buy the company. Some parties may be phishing for confidential information to use for their own purposes. An M&A Advisor will ensure the potential buyer is not a competitor, is qualified to buy the business and has the financial strength to do so before revealing more than what has been publically released. Avoid advertising. In cases, where the sale needs to be kept highly confidential, consider contacting buyers directly. Good M&A Advisors subscribe to directories of strategic buyers, private equity groups, family offices, sponsored funds and have their own databases buyers that might be interested in the investment. Marketing directly to a researched group of buyers greatly reduces the level of public scrutiny. Use a Blind CIM. The Confidential Information Memorandum (CIM) is the document sent to buyers after they’ve signed an NDA and have been pre-qualified by the M&A Advisor. In cases where it is appropriate to maintain confidentiality while disclosing critical information about the firm, then consider writing a CIM where the company name and location are not disclosed, but most everything else is. It should provide enough information such that the buyer is able to indicate the price and terms of a transaction without disclosing the company’s identity. After that, you can decide whether or not to continue discussions with the buyer and reveal the company name. Off-site Meetings. To prevent employees from learning the company is for sale, it is common for initial meetings to take place off-site at a neutral location or after hours. This helps sellers keep information regarding the sale confidential and only involve key employees on an as needed basis. Of course, before any details of the company are revealed, signing a non-disclosure agreement is a must. This document will legally protect the company from leaks of confidential information and word getting out about the sale. We cover key elements of a non-disclosure agreement here. Your M&A Advisor should be able to guide you through all of the issues of confidentiality and ensure that only as much information as needed is disclosed at the time it needs to be disclosed. 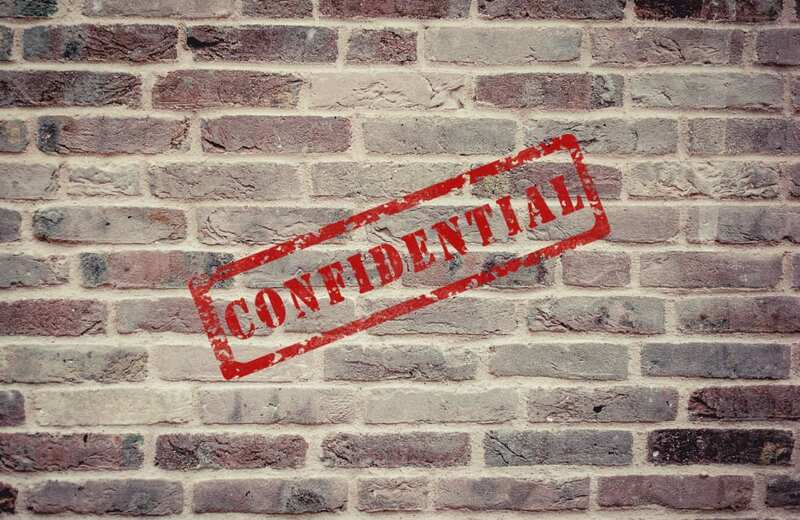 This is a part of our 3-part Confidentiality Series, check out Why Confidentiality is Key When Selling a Business and Key Elements of a Non-Disclosure Agreement (NDA).